Hi everyone! First of all, this is not a sponsored post. I'm just very, very pleased about a product that I have to share it with you!!!! Secondly, if you have a child who is not ready for a cell phone but needs a way to call or be reached, then this is for you...keep reading!!!! 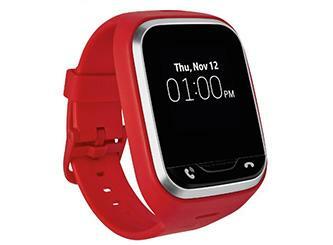 Have you heard of the Gizmo Gadget watch? Another Mom told me about this fabulous watch a couple years ago, and I have yet to see a single advertisement for it. At least 5 people I know have purchased one for their kid since I told them about it. I don't know why it's not being advertised! What is the Gizmo Gadget? The Gizmo Gadget is a watch that allows the child to call (via speaker) up to 10 people that you program into the contacts. It can also receive calls from those 10 people. Other features include sending pre-programmed text messages, sending voice messages, receiving text messages (up to 30 characters per message) via the GizmoHub app, GPS tracking, location check-in, and step tracker. What age group would the Gizmo Gadget be appropriate? We got my daughter her Gizmo for her 9th birthday (she is now 10). In my opinion, any child who can read well and who can be trusted to receive and make phone calls would be fine with this watch. We're considering one for our 6 year-old because he's always running around the neighborhood into various friends' homes and it's difficult to keep track of him!! If you don't have a landline, this would be a perfect option. I think the watch may not be good for age 11/12 and up, only because it does not have the text capacity that an almost-teenager would probably need! There are no apps or internet browsers either. 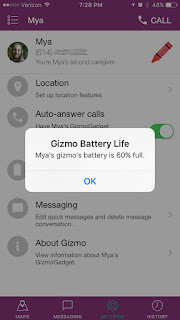 How does the Gizmo Gadget GPS feature work? There is a GizmoHub app that the parent must have on his/her phone to track the child's watch. There can be a 1-5 minute search time for the app to locate your child. 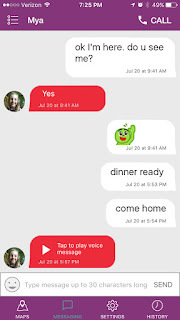 --Messaging - While the child can only use pre-programmed, short messages to text the parent, they can voice text much longer messages. 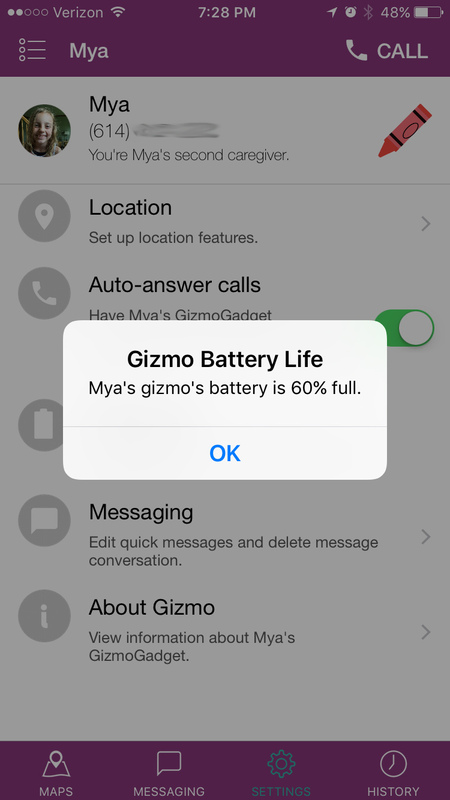 --Battery Life Alerts - The app will alert the parent when the gizmo battery is low. You can also check the battery life at any time through the app. --Auto-answer calls feature - You can choose to have the watch answer after 10 seconds even if the child does not push the answer button on the watch. This feature is helpful if the child has silenced the watch because then you can start yelling speaking and he/she will hopefully hear you! --The cost - We paid about $150 for the watch and pay only $5.00 per month for the service (2-year contract). That price may vary depending on your plan. --Quick contact with my child!!! No walkie-talkies or texting/calling the neighbor moms or dads to ask them to send my child home!!! I can call my daughter directly!!!!! --If your provider is not Verizon. As I'm typing this, I believe the Gizmo is available exclusively through Verizon. However, other providers may have their own version. --It's not waterproof. Hopefully there will be an update to the watch very soon where it is waterproof. I really have no other complaints! My daughter wears her Gizmo all the time, even to school. She calls me from the bus on the way to school if she forgets something (of which I may or may not come running to the school to bring it to her!!!). 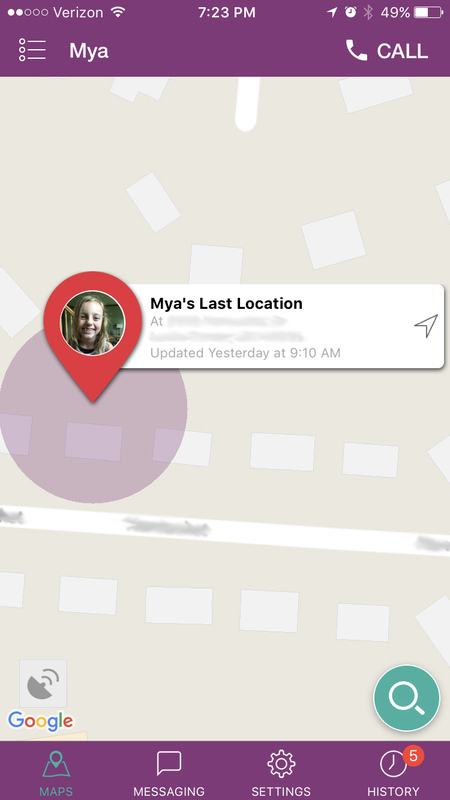 I track her when she rides her bike two streets over to her friend's house. I text her that it's time for dinner and she needs to come home or that I'm on my way to pick her up. It's sooooo worth it and I highly recommend it!!!! 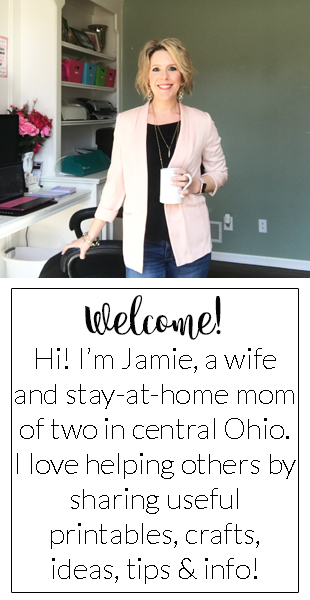 I'd love to hear your thoughts too! Please leave me a comment below if your child has a Gizmo or if you have any questions about it! !